Chepstow Plant Services were approached by a potential customer to deliver a block handling solution for a large quarry in Kazakhstan. The client required a wheeled loader with a specialist arrangement of tools and a quick coupler to enable the quarry to switch rapidly between tools during shifts. 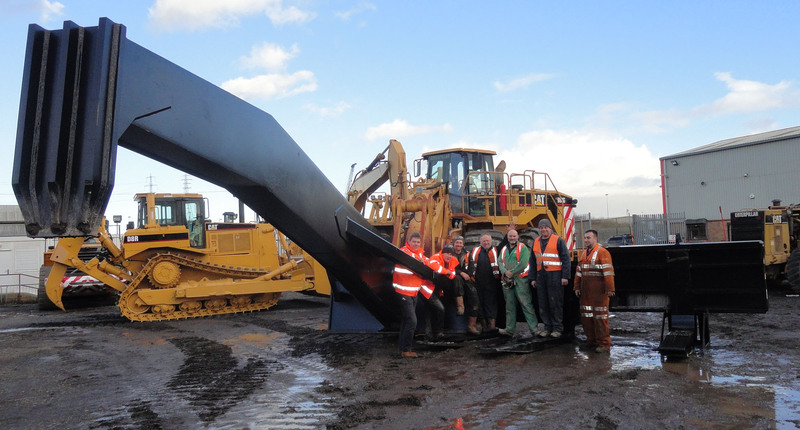 CPS have undergone extensive amendments and upgrades to a Caterpillar 988G to enable the client to utilise the machine as a flexible work horse with an 11 metre – 6 tonne clearing rake, 3 tonne tyne and a set of forks that will accommodate a 20 tonne block no hassle. What a bunch of tools!! !